English / Phonics / What is Phonics? How is it important? “Research has shown that early success at reading is clearly one of the keys that unlocks a lifetime of reading habits.” It is for this reason right from an early age, we need to ensure that children are successful at reading. I believe that reading is the base for success in all other subjects. If children struggle with their reading they should be helped immediately by first carefully identifying them to ensure that the child is actually struggling rather than just having a bad day. I don’t think that it is possible in a class where there is no student struggling. As teachers and parents, we need to remember that we will always have struggling children and so, we may need to alter our teaching style and content covered so that all children are ensured success. How to help children who are struggling? There are many ways of helping children and one of them is trial and error before deciding which ones best work for the group of children who are struggling. 4. 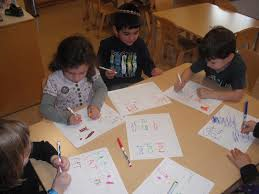 If the teacher divides the class into groups and gets children with similar abilities to work together for one part of the class and then mixed abilities where a stronger child is paired with a weaker one so that the children help each other. Flash cards and activity based games can be an effective way to teach and review sounds, blending and tricky words. I think this is very important for children to feel success in whatever they achieve as that is a prime motivator for them to keep going. With technology moving the way it is, tablets seem to be the new way and there are tons of apps out there to help and promote reading. Decodable readers may also be beneficial for students who have just struggled to blend a few sounds together. In order to help struggling children, parental support is quite essential. Parents often don’t know how to help their children and having parent workshops during the early years to explain to them how important they are in the educational journeys their children have embarked upon and also to enable them to help the child by supporting their learning at home. Finally, if a teacher has tried several of the strategies listed above and are still finding that a particular child is not coping it may be time to refer them to an outside specialist for assessment to ensure that there is not something more complex going on. Most children who are struggling will benefit from one or more of the above strategies and there may be a small percentage who need to be referred.